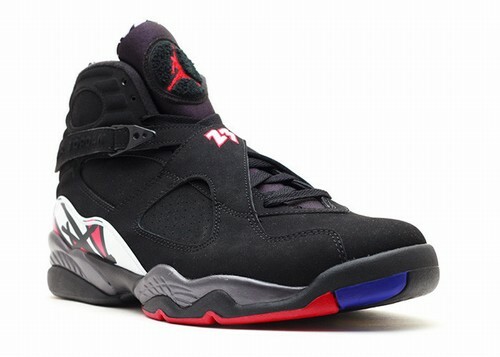 This is the Air Jordan VIII (8) Retro "Playoff" featuring a black, true red, and white color way. 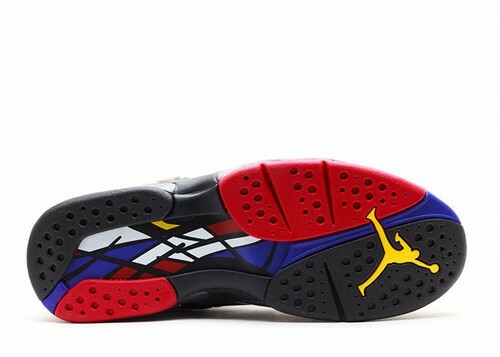 This pair was worn by MJ during the 1993 playoffs on the road to his first "three-peat". 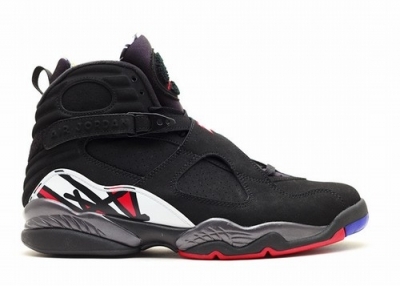 During that year's NBA Finals, against Charles Barkley's Phoenix Suns, Jordan averaged 41 points per game and became the first in NBA history to win three consecutive NBA Finals MVP awards. 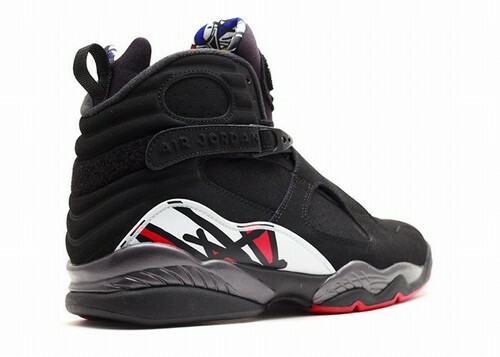 These became known as the "Playoffs" and would be one of the most coveted Air Jordan color ways ever.